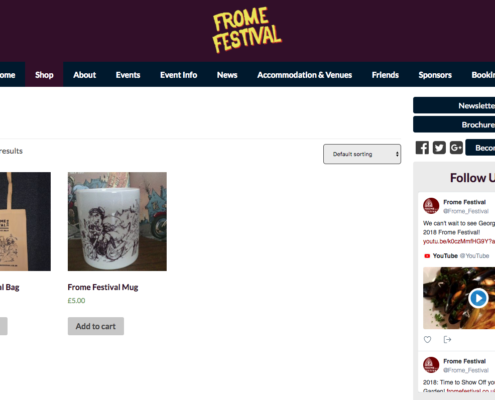 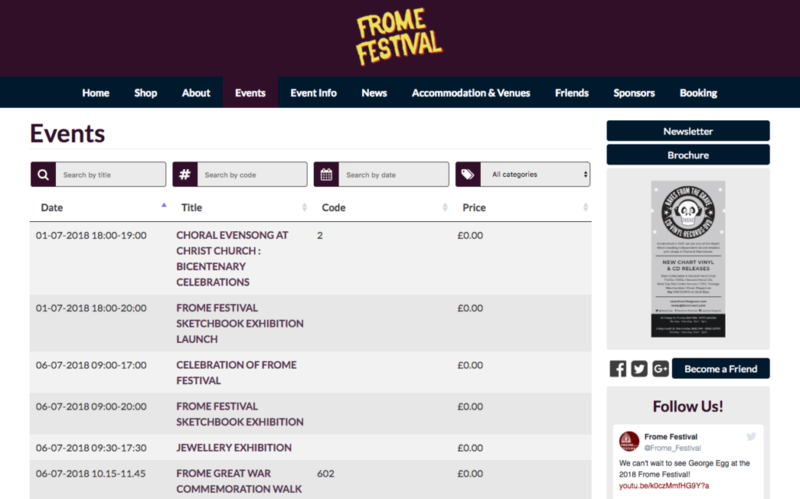 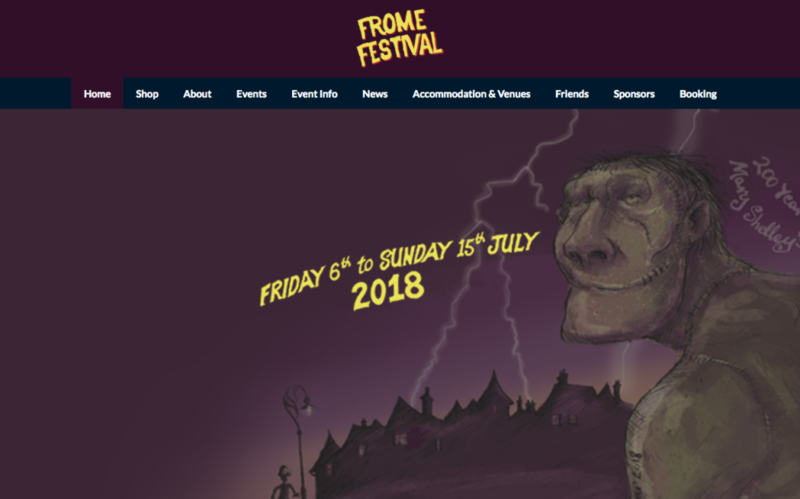 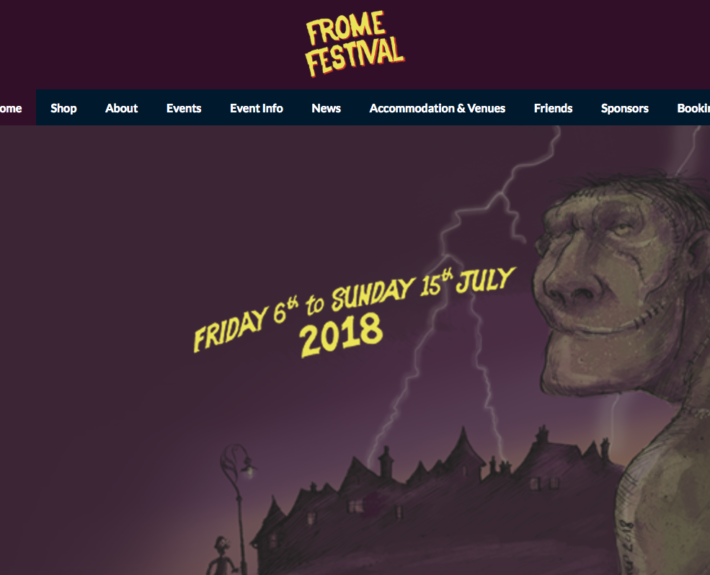 This year we have collaborated with the Frome Festival to reconsider and re-design the brochure and their website for the 15th festival. 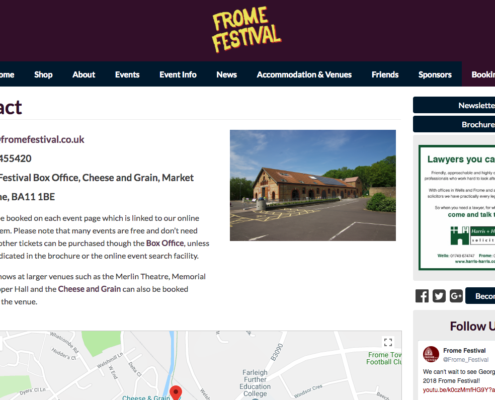 We are delighted to be involved in promoting and designing a fresh online presence for a programme packed with events to appear across all age ranges and multitude of tastes. 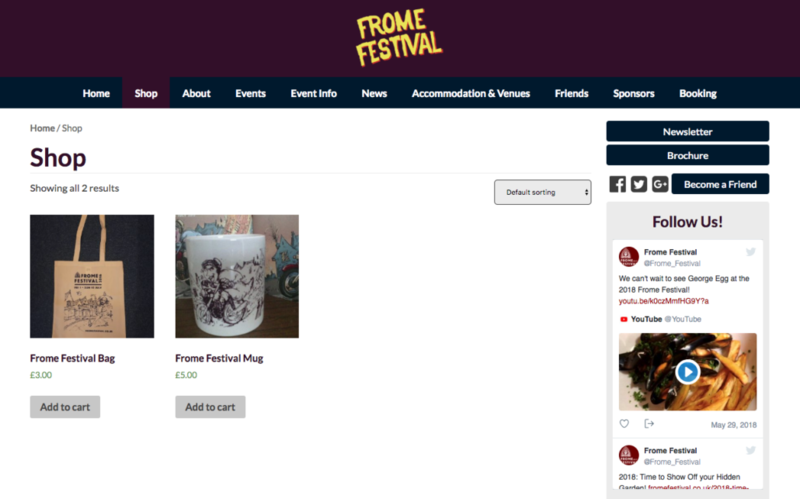 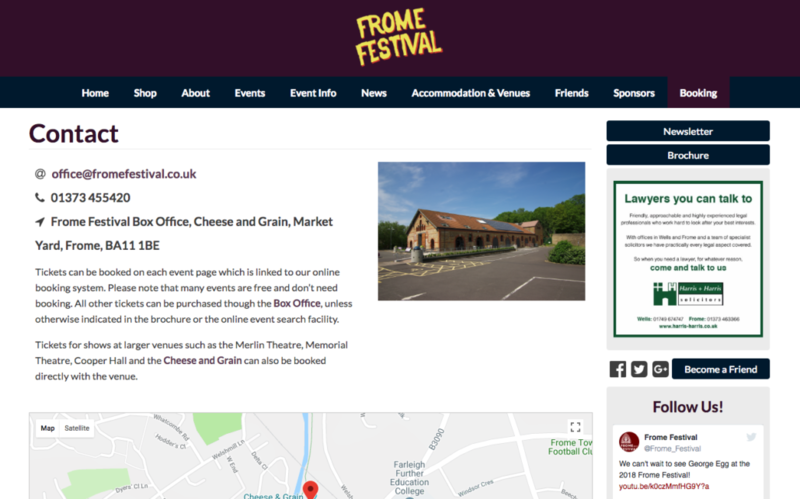 Develop a brochure website to display festival information, along with events, line and venue pages. 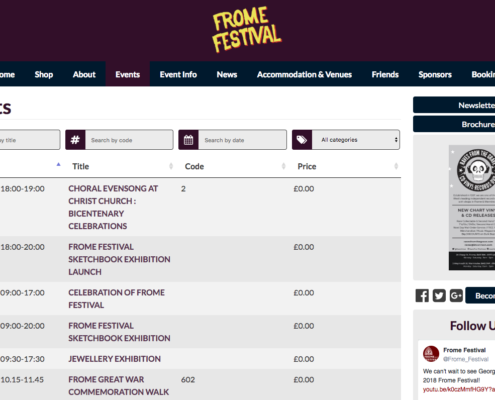 Easily editable, allowing the staff to create pages and add content with ease.